Vatican Cross: Also known as The Crux Vaticana. 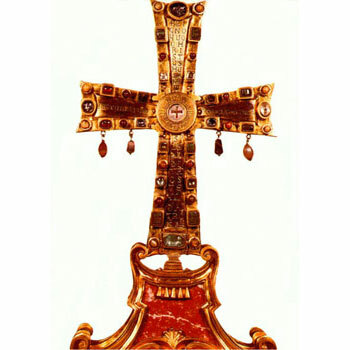 It is believed that the Vatican Cross is the oldest feretory currently known, and is thought to be crafted from the fragments of the cross upon which Jesus was crucified. The wood dates from the sixth century, and was given as a gift to the people of Rome by the emperor, Justin II. Along it bears the inscription: "With the wood with which Christ conquered man's enemy, Justin gives his help to Rome and his wife offers the ornamentation." Spadillo/Ace of Spades: Usually the highest position in a deck of playing cards, the Ace of Spades, Spadillo or Spadille is also, more ominously known as the ‘death card’ – for reasons that are inextricably intertwined with folklore and mystery and the darkest depths of superstition. First interpreted as a symbol of a person’s potential demise as far back as the ancient Tarot decks and readings of Medieval Italy, media and literature soon caught on to the Ace’s morbid connotations. From functioning as a calling card for impending suicide in books such as Robert Louis Stevenson’s The Suicide Club, to finding a place in the Vietnam war as a psychological weapon – playing on the Vietnamese tradition of the spade bringing death and bad luck, scattering hundreds of the cards over the graves of the newly deceased – the Spadillo carries a nuance of the gruesome with it even into the present day. 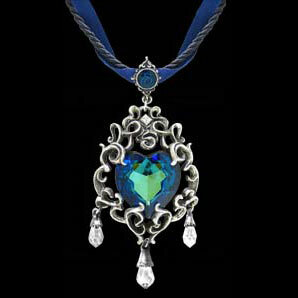 Princess Eugenie’s Blue Heart Diamond: The fifth largest blue diamond in the world, incredibly rare due to its sublime, ocean-blue colouring. It is thought that the princess consort of Napoleon III (1852-1870) held it in her possession for some years, even coining the specific shade of its colouring ‘Eugenie Blue’, before the infamous master jeweller, Cartier, spirited it away to become part of his own collection. Sacramentum: Traditionally, a Christian sacrament isbelieved to be “a visible sign of an invisible reality”; a physical, tangible symbol of divine faith, representative of the grace that is present within the soul of every true believer – a blessing from God to each of his followers. Most often, this blessing is bestowed in the form of sacred rites; the baptism of the body with water, or anointment with holy oil – a method of directly receiving salvation from the Holy Spirit itself. 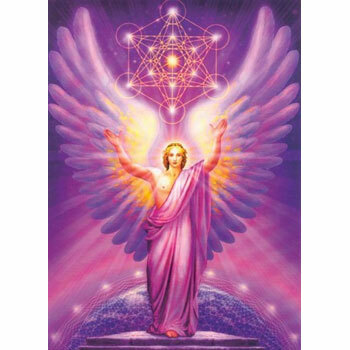 Metatron: Revered as the highest of all God’s Archangels, exalted and often named in Medieval Judaism and Rabbinic tradition. Thought to have come into being at the very beginning of existence, as God created the world, only Metatron is permitted to look upon his countenance and sit upon the clouds of heaven. As the celestial scribe and beloved advocate of Israel in the heavenly court, his duty is to write down the deeds of his people and keep them safe for all of eternity.